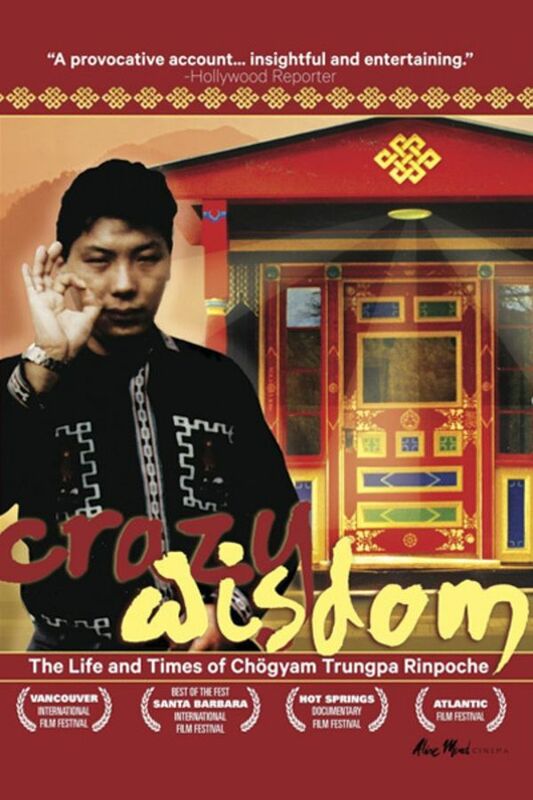 (Crazy Wisdom) Explores the arrival of Tibetan Buddhism in America through the story of Chogyam Trungpa Rinpoche, who shattered preconceived notions about how an enlightened teacher should behave. Initially rejected, his teachings are now recognized by western philosophers and spiritual leaders as authentic and profound. The life of hard-drinking, non-celibate Buddhist figure Chogyam Trungpa Rinpoche is recounted via interviews with devotees like Allen Ginsberg and Ram Dass. I thought it very interesting. Chogyam Trungpa Rinpoche took an incredibly arduous journey to the West, leaving the destruction of his beloved country. I'm a Christian, a student of the Bible yet I gleaned something from it..which I'll have to ponder. Not taking myself quite so serious. It reminded me also that everything that I do..whatever work is sacred..be it vacuuming the floor. I chose to watch because an individuals life fascinates me. He experienced great trauma in Tibet, immersed in the culture of the West..not without some psychic pain.. Perhaps even "Realized Guru's, can succumb to addiction. i liked this movie -- nothing spectacular, but a really good watch and had some very powerful moments, imo. taught me about tibetan buddhism, raised interesting questions about spirituality, and profiled a powerful buddha. all in all i recommend it - an easy watch and fun and funny, with some stuff to definitely chew on throughout. A previous reviewer said that he failed to get any of CT Rinpoche's wisdom. Adding that the reason for that might have been due to the fact that he only watched half of the documentary.Well, I watched the whole thing. And I kept shaking my head -- in disbelief! What I saw was a bunch of people coming up with all kinds of far fetched explanations to the empty words of their guru.This was going on a lot in the 60's and 70's. But in this case, it went on for longer than that. Well into the 80's even. Not to mention the disciples who got stuck in an era that was only meant to be a stepping stone - toward a greater understanding of human nature. An amazing story of one man's actions to carry enlightenment to the Western world.